Colleges LOVE homeschoolers, and a great transcript will help them LOVE your student even more! Your homeschool transcript can perfectly reflect your child and your homeschooling in a way colleges understand! consultation to get all your questions answered, from the author and expert Lee Binz! Wow—this is cool! 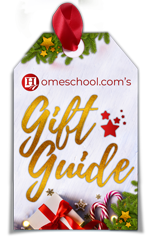 Bonus 4: Free 30 day trial subscription to The HomeScholar Silver Training Club, a membership site that has audio and video courses on college preparation and transcripts. In addition to the bonuses mentioned, Lee sends three MORE bonuses to you via e-mail—so really, there are SEVEN bonuses in all! You can see a video about the Total Transcript Solution here. The sheer volume of what you get is amazing! She over delivers! The sheer volume is only surpassed by the quality of what you receive! One look at her son’s transcript, and you know why he was offered a full ride—it’s because her homeschooling was so amazing! Advanced Chess, Advanced Latin… you realize a great transcript requires a great program. Her son’s transcript was encouraging—not discouraging—I can do that too! Lee gives wonderful, pragmatic advice—especially as to why you should keep control of your child’s transcript—so simple—so obvious—so genius! It has to do with having complete and total control… complete control over something so important… it certainly makes sense. Other great advice? 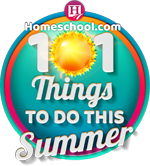 You don’t have to change the way you homeschool to make it fit a transcript! In fact, it’s the other way around. You take what you’re already doing – what’s already working – and create the words and numbers that colleges understand. You take your educational experiences and translate them into “college-ese.” What a great term! She’s VERY personable and easy to listen to. Her everyday analogies are fun and inspiring. I can get ready for the holidays. I can swim. I can write a transcript! Her materials are an easy read. There’s a 60 day money back guarantee—although I doubt she’s ever had to give a refund. 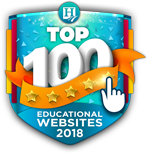 In addition to the Total Transcript Solution, TheHomeScholar offers many valuable resources including webinars, mini-courses, samples, e-books and more. 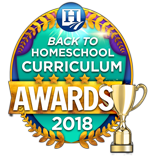 For more information about homeschool grades, credits and transcripts, check out her free one hour transcript webinar. After reviewing her Total Transcript Solution, I want to see what other great information Lee has to share!